Santa is everywhere these days! If you know me by now I am all about maximizing my time and experiences. So where can we go visit Santa and make it a family outing? I did some research and put together a list of 10 locations across SoCal where you can find that jolly old man and have an awesome family experience at the same time. Do you have a Santa sighting? Message me via my blog, Instagram or Facebook page at mamahoodadventures and I can add it to the list! Youth (2-12) – $22, Infant (Under 2) FREE- Wear your pajamas? I’m in! 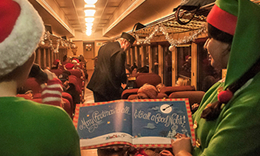 Enjoy a magical 1 hour evening train ride to the “North Pole” and meet Santa! While on board there will be storytelling, caroling, cookies & chocolate milk. At the Fillmore Depot, visit Santa’s Village to ride the Carousel & shop the Christmas Craft Booths. How fun does this sound especially for any train fans!! 3. Tanaka Farms, Holiday Santa Tour, Irvine, Tickets: $18, 2 and under are free. No reservations required. – I’ll be visiting Tanaka Farms next weekend for their Holiday Santa Tour and Sanrio Village. I’m excited! The weekend tours are only available for two more weekends starting at 9:30am-2:30pm. Take a wagon ride where you will learn about the farm and history of Tanaka while sampling winter vegetables and enjoying the scenery. There’s a special stop on the tour in Tanaka Land where you might get caught up in a snow flurry! Of course take photos with Santa and other farm-themed Sanrio holiday sets! Each paying guest receives a limited edition Sanrio button! After the tour, take a “Walk through the Seasons” in a meandering corn maze filled with Hello Kitty & Friends decor that lead to the Sanrio Holiday Village! 4. Winterfest, Santa Anita Park, Arcadia, Thurs-Sunday, Tickets: general entrance $5, kids 3 and under are FREE! Admission includes a cookie and a hot chocolate! If you want to ice skate there is a $15 fee (skate rentals included). There are several packet fees to choose from that include activities, see website for details. The Winterfest includes the following: Meet and greet with Santa Claus, outdoor ice rink, tree lot, carriage ride, Santa’s Village with Ginger Bread Making, Ornament Making, Santa’s Petting Zoo, Giant Inflatables, live music & DJs, food and drinks, shopping and free Christmas movies! 5. Selfies with Santa, FigAt7th in Downtown LA, FREE, 11-2pm! How cool is this to take some selfies with Santa? I like this option because you can also participate in the FREE Kids Craft Workshop every 2nd and 4th Saturday from 2pm-4pm (Lower Level, M1). So take your Selfie first and then go to the workshop! There are two upcoming workshops: 12/8 – Mosaic create glittering Christmas or Hanukkah star designs. and 12/22 – Snow Globes make a miniature winter wonderland ornament! There are also a variety of restaurants and eateries to try! 6. Los Angeles Zoo Lights, Griffith Park, Ticket: starting at 13+ $14.95, and children 2-12 – $11.95, 6pm – Lights are everywhere across the LA Zoo! An amazing light display that includes illuminated snowflakes, a disco ball forest, a whimsical herd of animated elephants, and a twinkling tunnel. We attended last year’s event and it was beautiful! There are new displays and areas to explore if you are returner! The stroll across the participating areas usually take 60-90 minutes. Of course Santa Clause is hanging out in the new “North Pole” on select dates. In addition to lights and Santa, you get to meet real reindeers! A variety of treats and hot cocoa are available across the zoo. 7. Universal City Walk – Universal City, FREE! Weekend (F-Sun) live music begins at 7pm! Santa visits: Mon-Fri 4pm-9pm, and Sat-Sun from 1pm-9pm. We stopped by last week and it is so festive! There is an AMC Theatre directly behind Santa’s sleigh. This is an awesome outing for a family – have dinner or dessert, shop, listen to music and catch a picture with Santa for FREE! They sell packages but they also let you take your own picture. I like that there are a variety of eateries and restaurants. Santa was entertaining while we were so he was definitely in a good mood! And if you are looking for a day experience, Holidays at Universal Studios is nice because they have Grinchmas and the Wizarding World of Harry Potter has dazzling lights and a snowfall! Looking for cheaper tickets? Check with your company for possible discounts or Costco has a deal for 3 visits for a literally the price of a one day ticket! 8. Queen Mary Christmas, Long Beach, Ticket: Starting at $22 adults (12+), children (4-11) $16 – There is a ton to do at the Queen Mary this holiday season! The following is included in the minimum package: Access to Santa’s Captain’s Quarters for a Meet & Greet with Santa, LED Christmas tree and synchronized light show, story time with Mrs. screening in the 4-D Theater of The Polar Express in the 4-D Theater, and strolling entertainment such as amazing photo opps. The following is available for an additional fee: ice skating rink, gingerbread house making, and stocking decorating. Interested in having breakfast with Santa? On Dec. 8th, 15th and 22nd you can enjoy breakfast with Santa in your PJs! Cheers: “Christmas Cheers”, The Fresh Prince of Bel Air: “‘Twas the Night Before Christening”, Everybody Hates Chris: “Everybody Hates Kwanzaa” to name a few, see website for a complete list. 10. 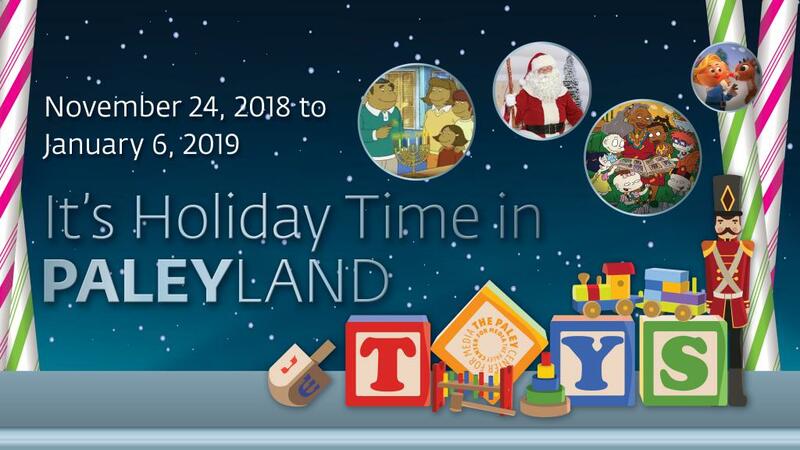 Disneyland Hotel and Parks, Anaheim, Ticket fee: varies – Disneyland is perfect if you are looking for a staycation trip! The jolliest Santa I ever did meet! Santa visits both parks and resort hotels until December 24th! Disney’s Paradise Pier Hotel – Crystal Cove Foyer, Grand California Hotel at the Great Hall and Disneyland Hotel in the Fantasy Tower! Schedule is subject to change. Theme park admission is required for in-park greetings but not for hotel visits!!!! So even if you can’t go to the park you can still feel some Disney magic at Downtown Disney. Take a trip to dine, shop, hear some music, and visit Santa inside the hotels! I called the hotels and all are welcomed to visit Santa at the hotels. For example, he is usually at the Disneyland Hotel from 4-8:30pm with a 15 minute break every 45 minutes. To find appearance times on the day of your visit, check at the specific park or hotel!